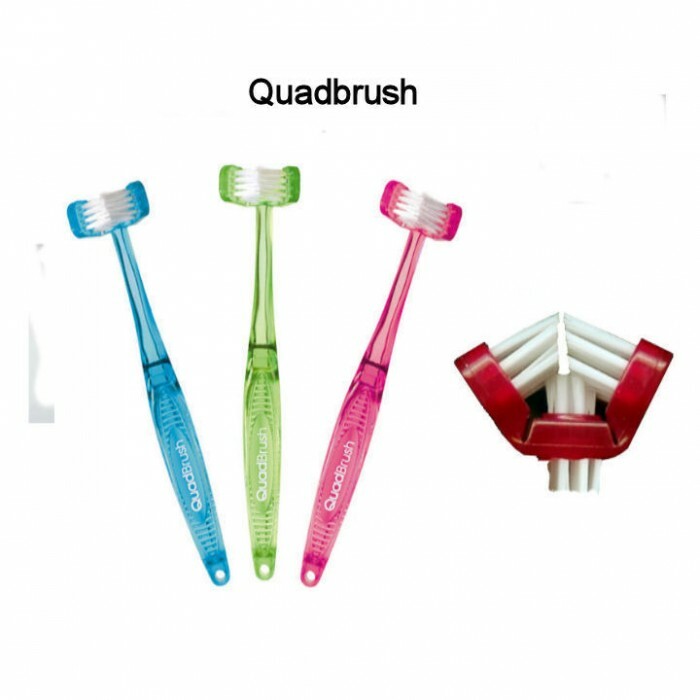 The Four Tufted Toothbrush was designed with four sets of soft bristles.Three sets of bristles are attached to the front face of the brush head.Their job is to clean all 3 surfaces of the teeth simultaneously and clean and massage the gum line.The fourth set of bristles are attached to the back side of the toothbrush head. 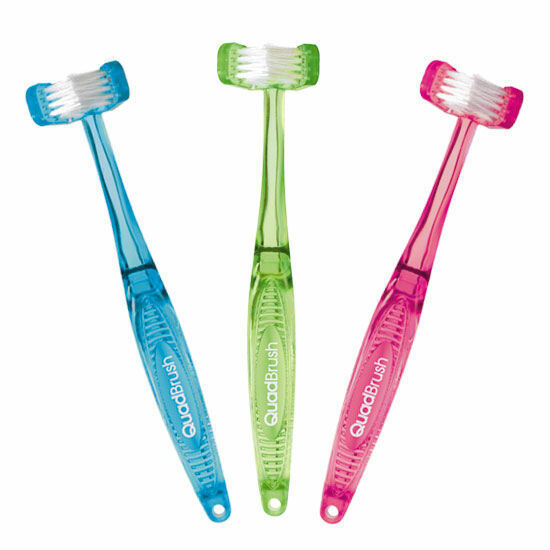 This tuft or prop was specifically created to keep the jaw open (dogs/cats have a tendency to close the mouth) The tuft will act as a buffer between the teeth and the brush, it will soften the bite when trying to close.The tuft can also be used to clean separately the central teeth,the canine teeth and the button tooth that sits way in the back. Patent's verbage also offers the flexibility of human use. The human use market has not been cultivated or approached with this design, it is a fresh marketing opportunity. 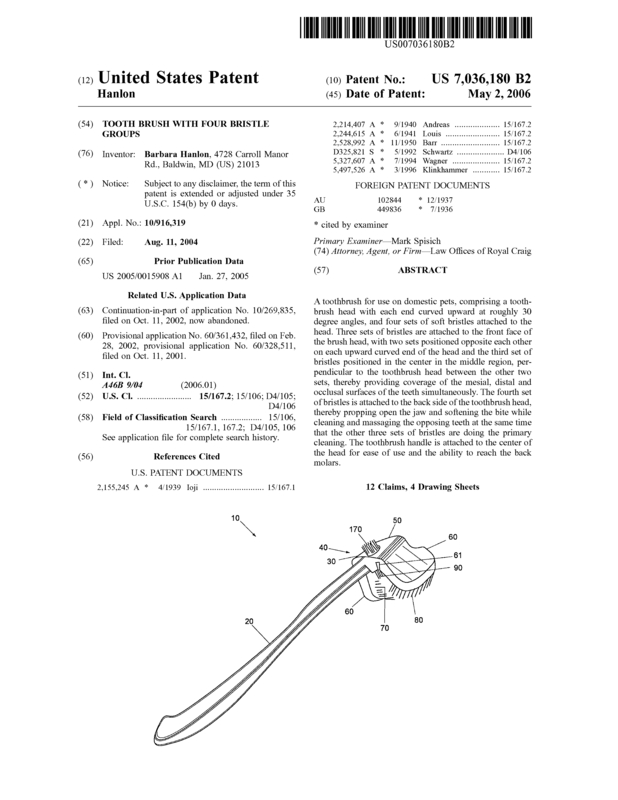 Page created at 2019-04-26 6:31:13, Patent Auction Time.